A former student at the University of Massachusetts Dartmouth was convicted Monday of obstructing a terrorism investigation by concealing a backpack containing fireworks that belonged to his close friend Dzhokhar Tsarnaev, the surviving suspect in the Boston Marathon bombings. In the first trial related to the bombings, jurors in US District Court also found that Azamat Tazhayakov, 20, was part of a conspiracy with his off-campus roommate to hide incriminating evidence in the days immediately after the attack. The jury found Tazhayakov was not involved in any crimes related to a laptop that was taken from Tsarnaev’s dorm room after the friends allegedly believed that Tsarnaev was one of the suspects. Tazhayakov sat stoically as he listened to the verdict Monday afternoon, occasionally looking back at his parents from Kazakhstan, who were seated several rows behind him. Tazhayakov’s father, an oil executive from the central Asian country, showed little visible emotion, while his wife openly sobbed. A look at the alleged actions of Dzhokhar Tsarnaev’s friends in the days after the Boston Marathon bombings. The jury deliberated for about 14 hours over three days and dismissed the defense’s efforts to paint Tazhayakov as a “good kid,” who did not know that his roommate planned to remove and get rid of incriminating items from Tsarnaev’s dorm room, according to one juror. “He was not a passive actor,” said juror Daniel Antonino, 49, a software salesman. Sentencing was scheduled for Oct. 16. Lawyers on both sides say that although US District Court Judge Douglas Woodlock could give Tazhayakov the maximum sentence of 25 years in prison, such a long term is unlikely, given some mitigating circumstances, such as Tazhayakov’s lack of a previous criminal record. US Attorney Carmen Ortiz addressed reporters very briefly after the verdict, saying she was gratified by the decision. “They took their jobs very seriously,” she said. Ortiz also praised the work of the FBI and the two federal prosecutors, Stephanie Siegmann and John Capin, on the case. Matthew Myers, one of three New York defense lawyers representing Tazhayakov, suggested that getting a fair trial for his client was challenging, given that Boston is still healing from the horrors of the bombings. “It’s a difficult case to try in this culture,” Myers said, flanked by his colleagues, Diane Ferrone and Nicholas Wooldridge. He added that they plan to appeal the verdict. Tazhayakov is the first of three college friends of Tsarnaev to face trial on charges that they interfered with the investigation into the April 15, 2013, bombing, which killed three and injured more than 260. Tazhayakov’s roommate — Dias Kadyrbayev, who faces the same charges of obstruction of justice and conspiracy to obstruct justice — is scheduled to go to trial Sept. 8. A third friend, Robel Phillipos, faces charges of lying to investigators about his whereabouts the night of April 18. His trial is set for Sept. 29. Monday’s verdict is likely to be daunting to Kadyrbayev and his lawyers, as significant testimony emerged over the past two weeks that Kadyrbayev took the lead in taking the items from Tsarnaev’s room and in tossing Tsarnaev’s backpack into a dumpster. The backpack, which held fireworks, a jar of Vaseline, and a thumb drive, was recovered from a nearby landfill by the FBI. That evidence is likely to be used against Tsarnaev, who faces the death penalty if convicted when he goes to trial in November. According to testimony, Tsarnaev told his friends that he knew how to make homemade bombs. Federal investigators have said the pressure-cooker bombs used at the finish line contained powder emptied from fireworks. 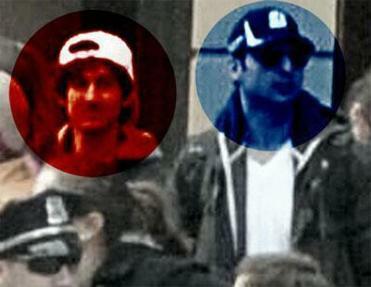 The jury found that Tazhayakov played no role in the removal of Tsarnaev’s laptop, one of the questions on the jury slip. That determination, however, made no difference in Tazhayakov’s conviction on both counts of the two-count indictment; to find him guilty on each count, jurors only had to find that Tazhayakov interfered with the probe involving just one of the two items. Myers, Tazhayakov’s defense attorney, said he plans to appeal the format of the jury slip, which he believes made jurors believe they were splitting the difference — and perhaps giving Tazhayakov a deserved break — when they found him guilty involving only the backpack, but not the laptop. Antonino said the jury decided that Tazhayakov and Kadyrbayev may have taken the laptop only for its resale value, not to protect Tsarnaev. The jury came to that conclusion, he said, because there seemed no effort to hide or destroy the item. The FBI found the laptop, untampered with, in the New Bedford apartment that Tazhayakov and Kadyrbayev shared. During the trial, which began about two weeks ago, prosecutors called on jurors to see Tazhayakov as a college student who did not do the right thing when it mattered, even when the magnitude of the bombings was apparent. They said that Tazhayakov could not have been oblivious to the bloody finish-line scenes or his friend’s potential involvement. Forensic analysis of Tazhayakov’s laptop and cellphones showed that he viewed videos of the bombing and FBI video of the suspects over and over again. Also, as early as about 11 p.m. on April 18, 2013, six hours after the FBI had released photos of the suspected bombers but seven hours before authorities released their identities, Tazhayakov was using Tsarnaev’s name in Internet searches. That was still two hours before Tsarnaev’s older brother, Tamerlan, the other suspect, was killed during a shootout with police. But defense attorneys insisted that Tazhayakov was a sweetly disposed teenager consumed with playing video games and getting high, someone who never imagined his friend was the bomber. They repeatedly referred to him as a “Mama’s boy” or a “good kid,” using depictions mentioned by one of Tazhayakov’s friends who testified in the case. They went to great lengths to cast their client as likable. In fact, one defense attorney said Tazhayakov ordered Kadyrbayev to turn over a cap taken from Tsarnaev’s room, saying it showed his client was eager to help law enforcement. Defense lawyers said that although Monday was “a brutal day for all of us,” they have been impressed with the calm disposition of their client throughout the trial. They said that they plan to appeal the verdict and that he is prepared for the legal challenges ahead. “He’s a pretty strong 20-year-old,” said Myers. Milton J. Valencia of the Globe staff contributed to this report. Patricia Wen can be reached at wen@globe.com.